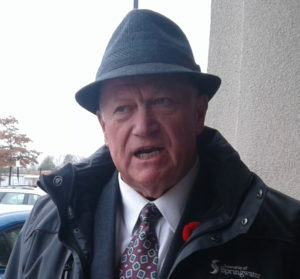 Bill French has asked Springwater Township for an opportunity to set the record straight on issues raised by Mayor Don Allen and CAO Robert Brindley in their update to council on April 3 2019 on Bill’s Compliance Audit matter. He will address statements made regarding delays, costs, and the lack of options open to council with regard to compliance audit committee expenditures. This will mark the first time Bill has been able to talk to council about this matter since the complaint about his election expenses was launched in July 2015. During his term as Mayor he recused himself from any discussion on the matter as required under the Municipal Conflict of Interest Act. We urge you to attend and show your support for Bill. When and where: Wednesday May 1, 6:30 pm Springwater Administration Centre, 2231 Nursery Road, Midhurst.